​After the very 1st professional comedy show a 'Best of Irish Special' in 2004, as part of El Feile Irish festival, the idea for a regular club was born and in September 2005 the inaugural Giggling Guiri Comedy Club show was a sell out smash with the irrepressible Jason Byrne followed next by Danny Bhoy's 2005 masterpiece and that was it would become the hottest English language ticket in Barcelona. The club in it's spiritual home Llantiol would go on to host everyone from Michael Mc Intyre to Kevin Bridges and 4 Edinburgh Award Winners in the year of winning selling out practically every month with the venues adapting according to the size of the artist!! Gigs are already confirmed for the remainder of 2018 in Barcelona and Madrid with big plans for 2019. The world's first and still the worlds only multilingual comedy festival presenting shows in 12 languages since 2008. The cosmopolitan nature of the Mediterranean tourist mecca that is Barcelona has inherently created a unique multicultural population and via our long established comedy business in Spain (in 2003 we created the 1st professional English language comedy show!) the move to a festival was a natural one - and multilingual FIC was born!! A lot of trial and error over the years to deliver the multilingual aspect with mixed results but we are still there with the consolidated core of languages of the local Catalan and Spanish with perennial shows in English and Dutch but we have also presented shows in Swedish, German, French, Russian, Italian and in 2015, Finnish. 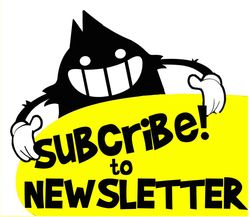 watch this space or much easier just subscribe to the newsletter on the right to be the first in the know! FIC LISBON came to life in December on our Facebook page which was our fastest growing page in the family ever with 500 likes in the 1st week! !